Social media streaming has made the leap from novelty to necessity. Channels like Twitter, Facebook, and Instagram are racing to add live video to their platforms and brands are adjusting their social strategies accordingly. Audiences demand live video, and it’s easy to see why. Live video adds a human touch to posts that text and images can’t compete with. According to our survey, conducted with New York Magazine, 80% of respondents would rather watch live video from a brand than read a blog, and 82% prefer live video from a brand to social posts. By livestreaming to channels like Periscope and Facebook Live, you’re creating eye-catching content that improves your positioning in both platforms’ algorithms. Social media streaming also gives you the opportunity to attract viewers and bring them back to your own website. Sometimes maintaining a social media presence can feel a bit like spinning plates. With so many platforms competing for attention, it’s hard to focus your energy on just one. Many organizations struggle to give equal time to each platform. It doesn’t have to be this way – streaming across social media platforms is easier than you think. We’ll also cover the where, why, and how to stream to social media and grow engagement for your organization. Facebook revolutionized social media when it launched in 2006. Ten years later they launched Facebook Live, giving users the ability to stream live video directly to their Facebook pages. With over one billion users worldwide, it’s no surprise that publishers and brands have flocked to the popular platform. Streaming to Facebook Live reaches your viewers where they already are. But like any social media platform, there are limitations that producers will need to consider. Streaming to Facebook Live should be part, but not all, of your live video strategy. 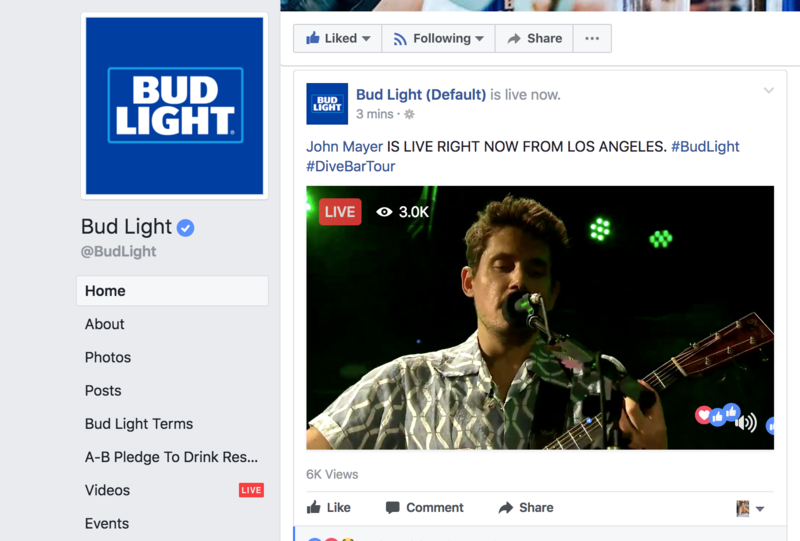 Going live directly to Facebook is good for a short stream, but lacks the qualities and features of a professional livestream. Combining Facebook Live with a dedicated live video solution, like Livestream, opens new possibilities for your content. 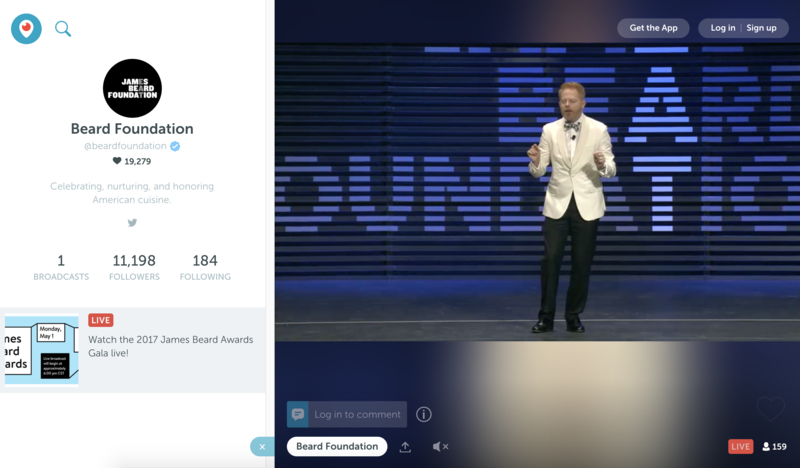 Livestream’s live player embed lets you stream a portion of your live event to Facebook Live, before directing them back to your own properties. And with lead capture tools like forms, pay-per-view, and mid-roll ads, you can turn your live event into a source of revenue for your organization. Facebook Live has made it easier than ever for their users to go live right away. But for larger organizations, you need a solution that empowers you to own your content and the way it’s distributed. Adding production value to your Facebook Live broadcast is a great way to attract an audience for your announcements or product launches. Anyone with an internet connection (or data plan, for mobile users) can stream to Facebook Live. The streaming platform was designed with the novice in mind, making it easy to stream directly to your profile or page. If you’re looking to stream to Facebook and your website or app, or just want a more professional stream, Livestream is the only platform with built-in Facebook Live streaming tools. With Simulcast from Livestream, you can stream your content to Livestream and Facebook live at the same time. There’s no special code or configuration, just a simple on/off button in your settings. In December 2016, Twitter integrated Periscope into their desktop and mobile sites. The up-to-the-minute algorithm of Twitter, plus Periscope’s ease of use, have made both platforms a destination for organizations of every kind. Users can stream directly to Periscope from a mobile device, or an encoder with Periscope Producer (beta), a test program designed for content creators and streamers. Streaming to Periscope from a mobile device is simple: when you open the app, tap the “Broadcast” button and you’re live. Periscope released “Periscope Producer” in 2016, opening up their API to third-party streaming encoders. This release created new avenues for brands to stream to Periscope and, by extension, Twitter. If you have access to Periscope Producer, you can easily stream from Livestream to Periscope or Twitter. Like streaming to Facebook Live, our Simulcast feature lets you easily add an RTMP link from Periscope to your Livestream account. This help center article has step-by-step instructions that will walk you through getting started. Once you’ve synced your Periscope and Livestream accounts, you can toggle streaming to Periscope on and off, and even stream to destinations Twitch and YouTube simultaneously. Although it was the first to enter the online video space, YouTube has been playing catch-up with Facebook Live and Twitter’s Periscope. As of April 2017, verified content creators with over 1,000 subscribers can now livestream on YouTube. If you’re streaming to YouTube using a desktop computer, simply click on your profile picture from your YouTube account, followed by “Creator Studio Tools,” then “Live Streaming.” Once your channel is enabled, you have three options to launch your livestream: Stream now, Events, and Mobile. To “Stream now,” simply set up your stream by selecting YouTube as a provider and you’re good to go live. Streaming to YouTube via the “Events” dashboard is ideal if you prefer to announce a planned event before it goes live. There’s also the option to livestream via the YouTube mobile app but you must have over 100 subscribers on your channel. If you’re a Premium or Enterprise Livestream customer and are looking for a more professional stream, you have the ability to push your stream from Livestream to YouTube directly through the “Stream now” option or the “Live Events” dashboard. Simply select YouTube under the simulcast tab in your Livestream account and sync the accounts. This help center article has step-by-step instructions to sync your YouTube and Livestream accounts. Similar to simulcasting to Facebook Live and Periscope, all you need to do is log into your YouTube account and select your streaming destination. Once that’s set up, make sure the toggle switch for YouTube on your event page is set to “On.” Then go live to your event as you normally would through Livestream Producer or Livestream Studio and Livestream will automatically push the highest available quality from your encoder to YouTube, allowing your event to be viewed on both Livestream and YouTube simultaneously. Since its acquisition by Amazon, in 2014, live gameplay platform Twitch has grown increasingly popular with users outside the video game community. Twitch’s integrated chat function is home to a sizable community of engaged viewers, and the average user spends up to 1.5 hours on the platform. Content creators can access Twitch’s tip jar function, which allows viewers to virtually “tip” their favorite streamers. And popular accounts can earn capital based on their number of channel subscribers. Marketers are starting to pay attention, with brands like Old Spice and Jack’s Link streaming branded content to their Twitch channels. Twitch is a “hardware agnostic” platform, meaning you can stream to Twitch from your existing workflow, or with one of their recommended broadcasting apps. Like Facebook Live and Periscope, Twitch has a mobile app that lets you go live from your iOS or Android device. Twitch’s interface also makes it easy to find the information you need to stream from a third-party encoder. Your Livestream account already has this functionality. Similar to streaming to Periscope, you can add Twitch’s RTMP URL to your settings and set Twitch as a streaming destination. And because Simulcast lets you stream to multiple platforms at once, you can stream to Twitch, Periscope, and other RTMP destinations from within your Livestream event. When you first begin to experiment with social media streaming, remember to take things one step at a time. It’s better to channel your efforts into one great live event than a handful of hard-to-manage, simultaneous video posts. You also want to make sure you have someone designated to manage and respond to comments or take questions on each channel. Depending on your audience, they might prefer one platform over another, or have a presence on many places at once. After you become more familiar with social media streaming, it’ll be easy to expand your strategy to include these other destinations. Diversifying is a great way to reach viewers on multiple channels – your strategy should accommodate those viewers. With tools like Simulcast from Livestream, it’s easy to branch out and take your live video strategy to new heights. Ready to start reaching your audience on social media? Download our Facebook Live Guide for interesting use cases, workflow suggestions, strategy tips, and more.